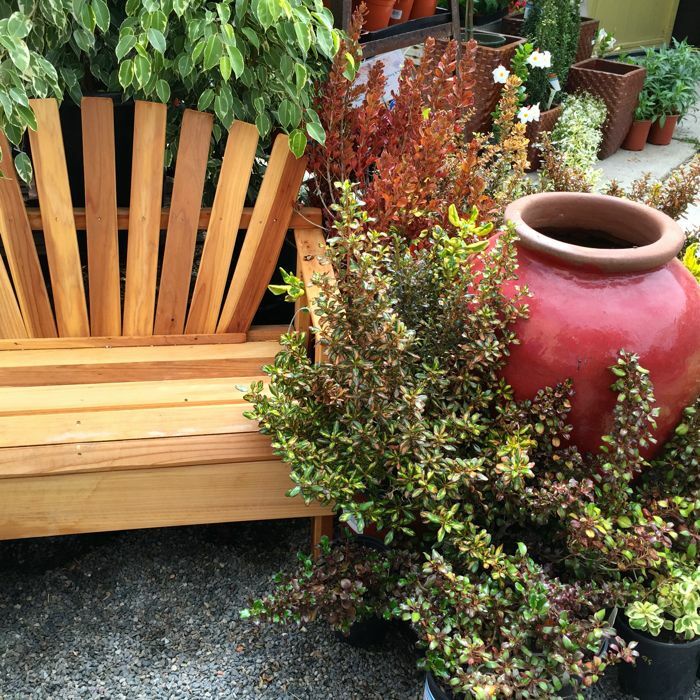 The same Green Gardens Nursery that I always enjoy visiting, for their beautiful and exotic plants, for the scent of cedar, redwood, and blossoms, for artful displays, the pleasure of walking there, and for the colors of the season... I see autumn. It's almost here! Only very subtly. I am so anxious that we can enjoy the real thing! !